A fresh start, truly indie this time. We were learning Unity at this one, so I guess we made every single mistake developer could make! Rings was born at the 1-week game jam, and another week later a playable prototype was ready. Our goal was something swift and simple, something like a game “1010!” that was on top these times, and it was our main inspiration. Mixing it with a well known for everybody tic-tac-toe mechanics made Rings alive. The first Photoshop sketch of the game. Amazing how close is this to the final version! Visually there were not much to design in this game, so as always Icon was the toughest one! 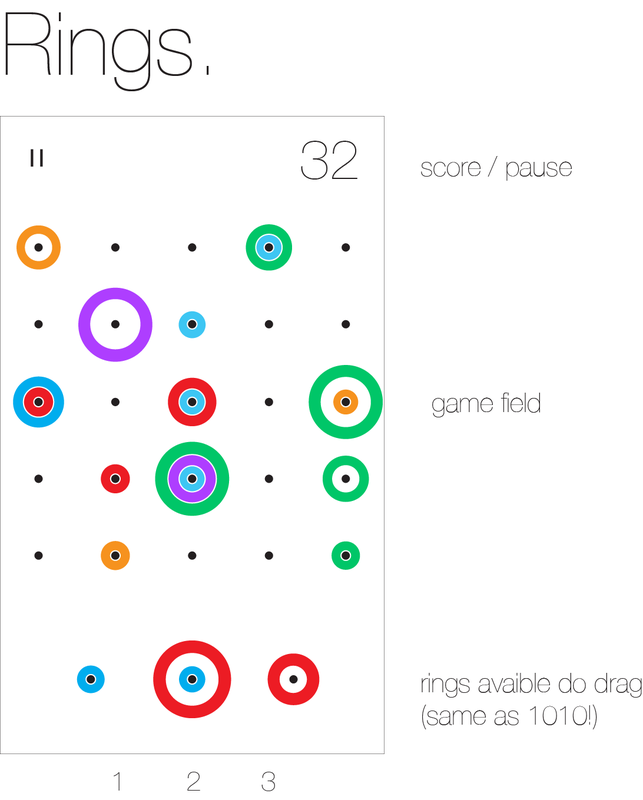 Rings, a free to play, endless matching puzzler was featured all over the world. It turned out that freemium games did not have to introduce dozens of features and a few hundreds of levels to be entertaining. The first project made with Unity after few months of break could not have gone better. 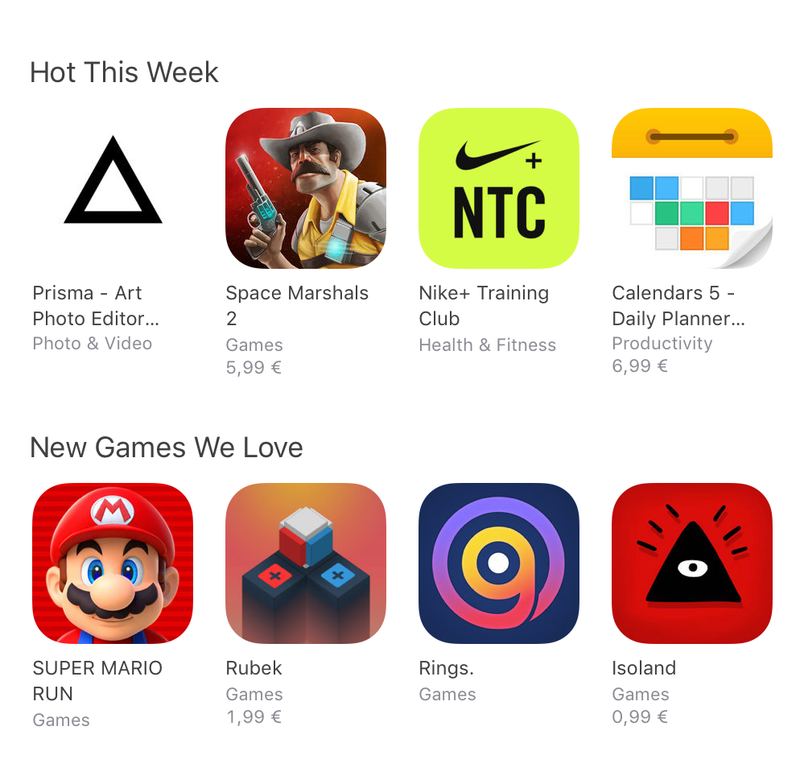 Rings featured in the USA next to the Super Mario Run! 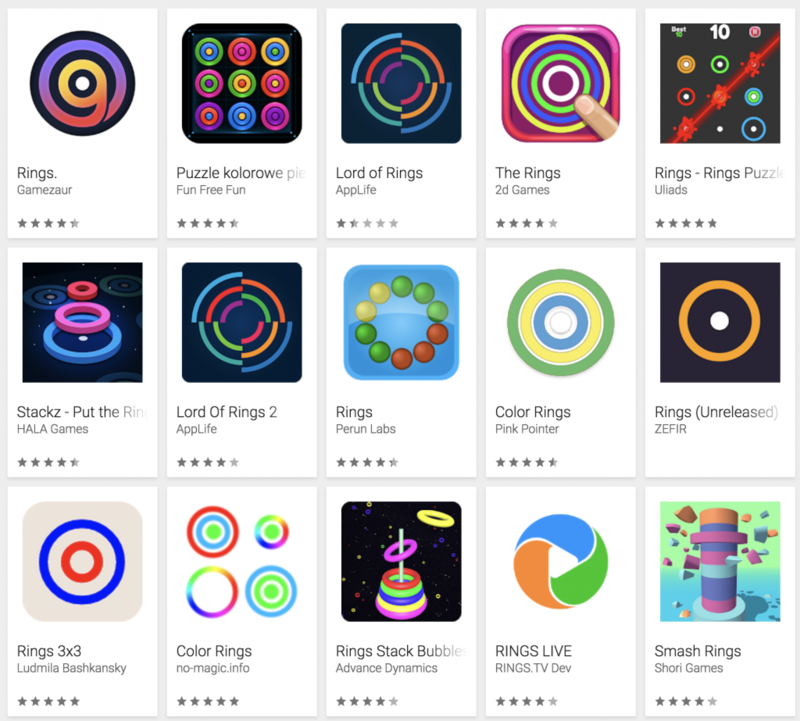 Rings quickly got a number of clones in the mobile store markets. Some of them were not so bad! In a way, this is a compliment for us, even if we hate the idea of a rip-off.